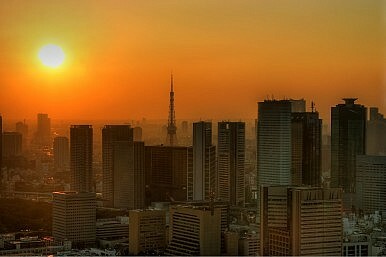 Japan’s major energy suppliers and government are preparing for the peak summer months of energy consumption. The government is implementing another voluntary power-saving campaign this year, and utilities are announcing rate cuts. While the two strategies may seem at odds, they could simply reflect two sides of a situation that is exacerbated by Japan’s nuclear reactors remaining offline. Additionally, Tokyo Electric Power Co. (TEPCO), responsible for the crippled reactors at the Fukushima Daiachi nuclear plant, is planning on expanding into European markets as the future of Japan’s nuclear energy sector remains in question. Japan’s 10 main power utilities as well as three of its four main natural gas suppliers say they will cut rates in August due to expected lower prices of LNG and coal, according to Jiji Press. This would be the second straight month the utility companies have cut their rates, as they are reviewed to reflect import prices for fuel. However, despite this drop in energy prices due to the falling cost of energy imports, the government announced another voluntary power-saving campaign for all parts of the country except Okinawa due to concerns of a power shortage. The Ministry of Economy, Trade and Industry has said nine of the main power utilities are projecting surplus supply of 4.6 percent for August, which is only slightly higher than the 3 percent surplus required by the government. While the government has not set numerical savings targets yet, this will be the first time it has done so since 2012. The campaign is expected to last for three months ending September 30, from 9 a.m. to 8 p.m. every day (except August 13-15). Finally, TEPCO is expected to expand into the U.K. and possibly the rest of Europe, creating a joint venture with Japanese NGK Insulators to build large-scale energy storage facilities by March 2016. The Nikkei reports that this is part of TEPCO’s strategy to enter the wholesale electricity market. If this venture proves successful, the Japanese companies would then move into wholesale power markets like Germany and France. The government’s new power-saving campaign shows how stretched the current energy grid is with all Japan’s nuclear reactors offline. Western Japan is expected to be right at the 3 percent surplus limit this summer, as roughly half of its energy usually comes from nuclear power. Nevertheless, major utility companies are discounting prices during the months of heaviest usage, which could mean they will have more capacity than they have suggested, or that they are willing to come as close to capacity as possible in order to extract the maximum profit from the existing energy infrastructure. TEPCO’s venture into the European wholesale energy market certainly points to what may be a larger, long-term strategy for Japanese utility companies. As the future of nuclear power seems more uncertain, and Japan’s population shrinks, these companies will have to expand into foreign markets (much like Japanese auto makers) in order to remain profitable. Unless Japan achieves a monumental technological or clean energy revolution, either of which could reinvigorate domestic energy production and demand, its utilities will struggle to deliver adequate capacity and stay in the black.